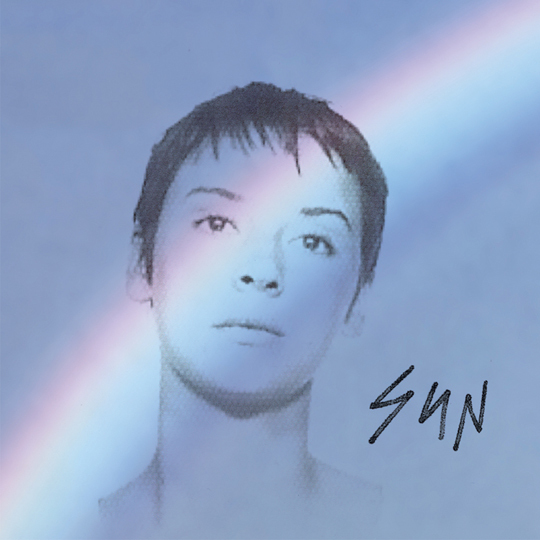 The cover of Cat Power’s Sun is a portrait of Chan Marshall with a new, short haircut and a rainbow plastered across her face. If there was ever a metaphor for change, maturity and overcoming personal turmoil, this is it. And if there was ever an album that captured this metaphor perfectly, it’s Sun. Six years have passed since Marshall’s last album of original material, The Greatest, and during that time, she struggled with long-simmering medical issues and entered a healthy relationship, all the while agonizing over which direction to take her music next. Largely produced and recorded on her own, it follows, then, that Sun represents a clean break from her past, a conscious shift from both her intense, lovelorn early work and the lush soul of The Greatest. Early reports suggested that Sun would be Cat Power’s “electronic album,” and while synthesizers, digital effects and drum machines indeed make their appearances, this isn’t exactly Marshall’s trip to the disco. This is still the Georgia singer/songwriter we know and love, just embellished with some computerized accouterments like the Auto-Tune that pops up in “3,6,9” and the glitched-up vocals in “Silent Machine.” However, it’s these embellishments that give the album a propulsive kick that other Cat Power albums don’t have, and it’s something that matches perfectly with the tone of her lyrics. Essentially a song cycle about working through times of struggle, Sun captures Marshall at her most driven and optimistic, a side of her that had only rarely surfaced before. It’s refreshing to hear some of her social commentary set to a lively backbeat on “Ruin,” and “Human Being” finds the mantra “You got a right to anywhere, anything” among its gloomy synths and Moroccan-inspired guitar lines. All the same, the album occasionally seems to get by more on sound and production than actual songwriting. Sometimes, it works: the transcendent “Nothin But Time” is an uplifting, skies-are-clearing 11 minutes of encouraging words and affirmations, set to an insistent piano line and backing vocals courtesy of Iggy Pop (!). Yet, her eclectic approach also results in a less satisfying set of songs than normal. Initially, it’s bracing to hear Marshall utilizing a broader sonic palette than usual, but after a few listens, much of that excitement dissipates and what’s left is a handful of fine songs—namely, “Cherokee,” “Ruin,” “3,6,9,” and “Nothin But Time”—among slighter, pleasant tracks that don’t stand as tall as her best work. Still, when you’re an artist as talented and consistent as Marshall, even your lesser songs are still worth listening to. Sun is a welcome, if imperfect, return of an accomplished artist who continues to find new avenues to stroll down, and hopefully it won’t be six years until she walks us down another one.